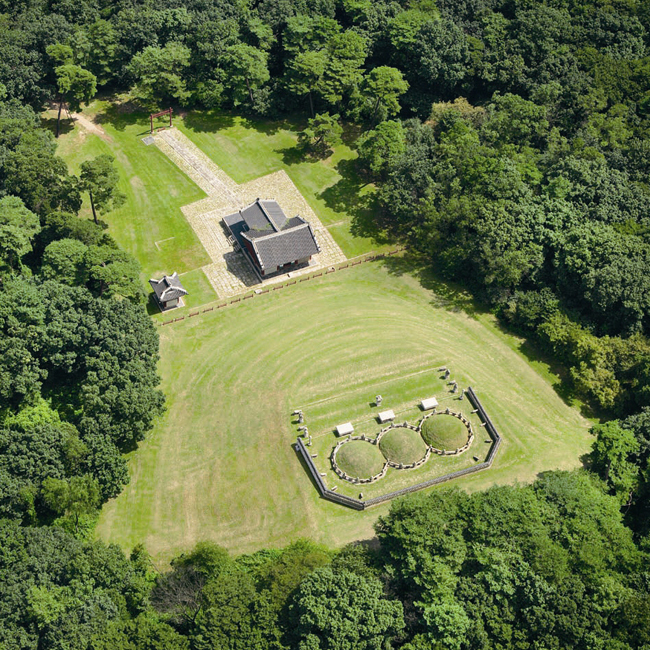 The tombs of kings and queens of Joseon Dynasty, which lasted 519 year, are perfectly preserved. It is unprecedented in the world that royal tombs of a dynasty with more than 500 years of history have remained undamaged to this day. Joseon produced a total of 27 kings, and there are 42 royal tombs from the period, including those of kings and queens. All the tombs, except the two in North Korea, were designated as UNESCO World Heritage Sites in 2009. Royal tombs were arranged based on Confucian philosophy and geomancy. They were supposed to be located in a site that faces the water in the south and is protected by hills in the back. Plus, a secluded site, with layers of mountain ridges in the distance, was considered ideal. The layout of the tomb area followed Confucian rules. Most royal tombs were located in the suburbs of the capital of Hanyang so the king could visit and return in a day. 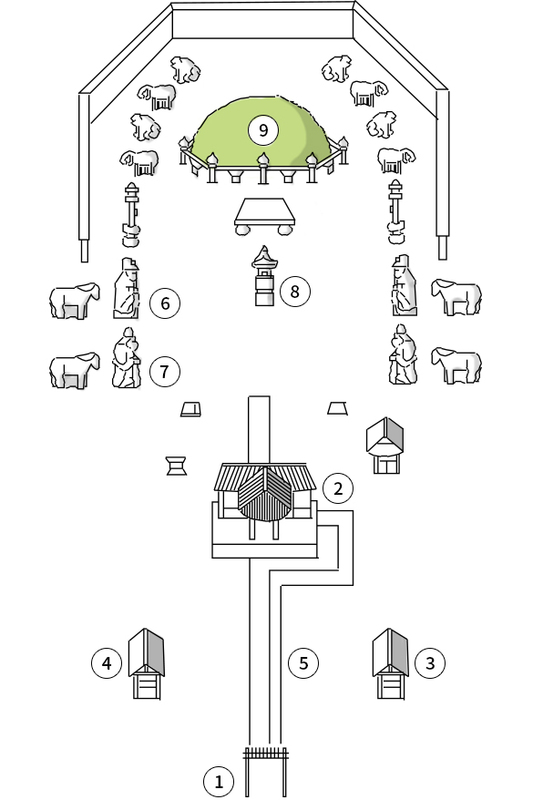 A royal tomb is divided into three sections: the Entrance Area that represents the earthly world (Jaesil, pond, Geumcheongyo Bridge); the Jehyang Area where the living would hold memorial services for the dead (Hongsalmun Gate, Jeongjagak Shrine, Subokbang); and the Sacred Area dedicated to the dead (Bigak, the Neungchim area where a body is buried). Geumcheongyo Bridge connects the earthly world with the sacred area. Across the bridge is the red-colored Hongsalmun Gate, the entrance to the sacred burial site, which leads to Chamdo. Chamdo consists of two paths. The Divine Path was believed to be used by dead kings, while the Royal Path, by living kings. Various stone figures are erected in front of the burial mound. 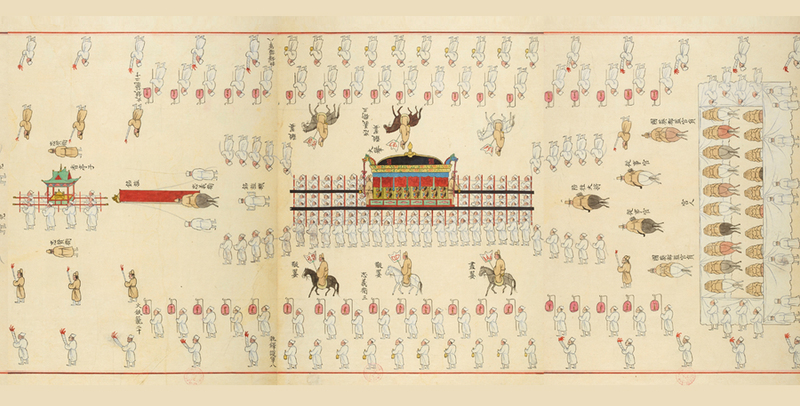 The Joseon Dynasty recorded the entire process of major state events in a book called Uigwe (Book of State Rites). Concerning state funerals, the Uigwe contains detailed paintings and elaborations explaining why a particular site was chosen as a royal tomb, how much it cost to build the tomb, what materials were used and how long the funeral lasted. Thanks to the detailed records, officials were able to retain and restore the original form of the difficult and complicated funeral ritual for the previous king without undergoing trial and error. 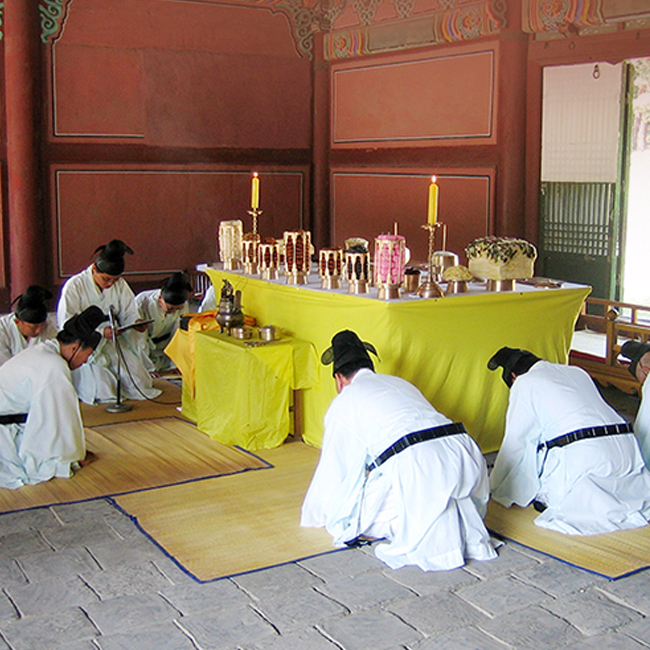 Sanreung Jerye, an ancestral memorial ritual for kings and queens of Joseon, is the symbol of the Confucian idea of loyalty and filial piety. 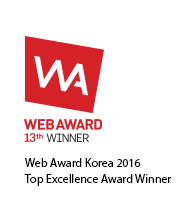 The rite was performed for 600 years until the Joseon Dynasty ended. 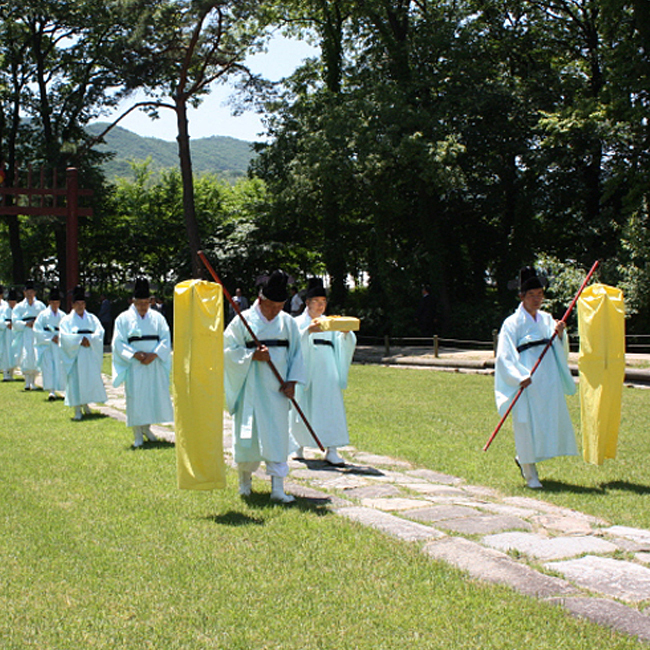 Currently, the Jeonju Lee Royal Family Association continues to practice the tradition. You have discovered one hidden treasure. Try to find two more. You have found two hidden treasures. Try to fine one more. You have found all the hidden treasures.